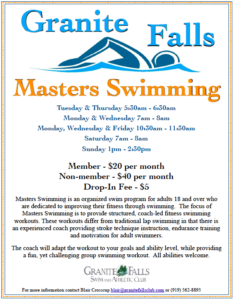 Masters Swimming is an organized swim program for adults 18 and over who are dedicated to improving their fitness through swimming. The focus of Masters Swimming is to provide structured, coach-led fitness swimming workouts. 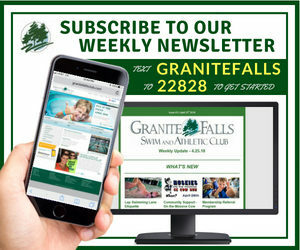 These workouts differ from traditional lap swimming in that there is an experienced coach providing instruction in stroke technique, endurance training and motivation for adult swimmers. Coaches will adapt the workouts to your goals and ability level while providing a fun, yet challenging group swimming workout. All abilities welcome.